Why are the vast majority of left hand turn signals in the City of Chicago only on for less than 10 seconds? We threw our now-former host Steve Edwards a bone and answered HIS question during our last studio appearance with him. 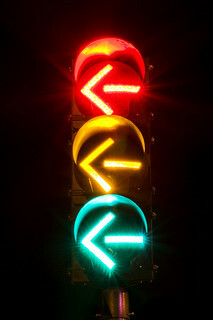 Learn how traffic lights work in Chicago!